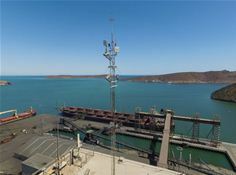 Guaymas, Mexico – 19 November 2018 – InfiNet Wireless, the global leader in fixed broadband wireless connectivity, today announced the successful deployment of a video surveillance system solution in Guaymas, a port in north-western Mexico. In recent years, the previous network infrastructure had been severely affected by environmental factors such as hurricanes and corrosion due to the presence of sea salt in the air. Also, the cameras were connected by standard UTP cabling meaning a viewing range of only 100m for security officials was possible. The legacy system was simply not adequate enough to monitor the entire port area and needed a major overhaul. “Since a strong and reliable CCTV infrastructure is critical for the management of any port, a robust system was needed to allow it to constantly monitor the perimeter areas in order to avoid theft of materials, and drugs and weapon trafficking. At the same time the safety and well-being of all employees of the port authority is paramount,” said Carlos de la Madrid, Regional Business Development Manager for LATAM at InfiNet Wireless. After originally considering a fibre optic solution, Guaymas port management eventually settled on a wireless solution as it was deemed more cost-effective, operating reliably even in adverse weather conditions. The project was implemented jointly with Global VoIP, a regional InfiNet partner in Mexico, and a system integrator which deployed the InfiMAN 2×2 point-to-multipoint (PtMP) solution. The experts installed a number of high-capacity base station sectors feeding data and video streams to a central control room. The InfiMAN 2×2 is a field-proven family of wireless solutions designed for various applications and has been used in all types of environments, from remote mining locations in Russia to the Olympic sailing security network in Dorset, UK, where during the 2012 Summer Olympics, InfiNet launched a video surveillance network to provide security for the competition. “Thanks to the new solution, a very important goal has been achieved – the operations team of the port is able to remotely and dynamically monitor all activities in and around the port area, to keep people safe and to prevent trafficking of all types. This has allowed our security staff to have wider visibility of the port and enabled them to pre-empt criminal activities and even to apprehend potential criminals much quicker than ever before,” said Axel Humberto Perez Flores, IT expert at API Guaymas.